Model 4005 was introduced in 1965. The body shape followed the styling of the "New Style" models 360-375. 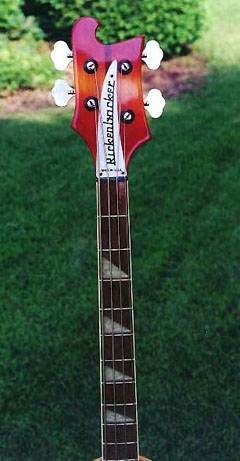 This semihollow bass had a rounded top edge and double cutaways. Equipped with two pickups and Deluxe featrures. 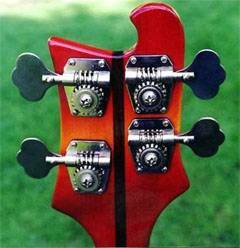 The neck had a fingerboard with 21 frets (full scaled) and was attached to the body rather than "neck-thru" as on the solid body basses. 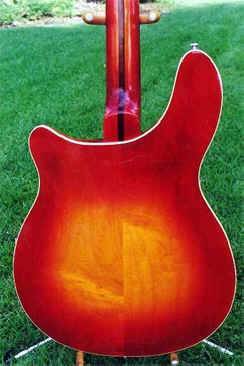 It had a crescent soundhole and an 'R' tailpiece. The model was deleted from the production in 1984. 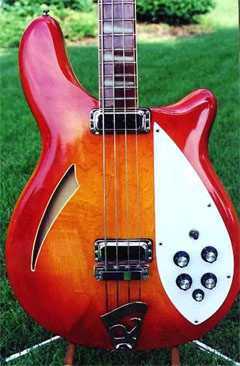 The model 4005 was also available both as a 6-string and an 8- string version (4005/6 and 4005/8).